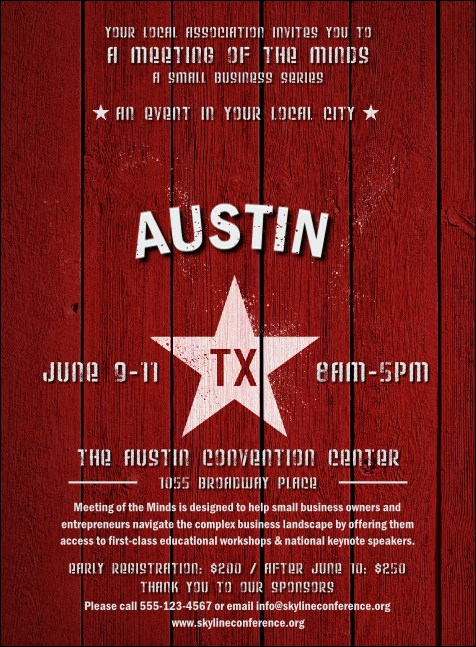 Use a bit of the old Southern charm on your pre-event promotions when you print Austin Star Invitations and send them out to your guest list in advance. Crown your event with excellent attendance in the city of the Violet Crown when you promote with Invitations that feature a classic red background and a single white star. TicketPrinting.com helps you make your event the star of the show!